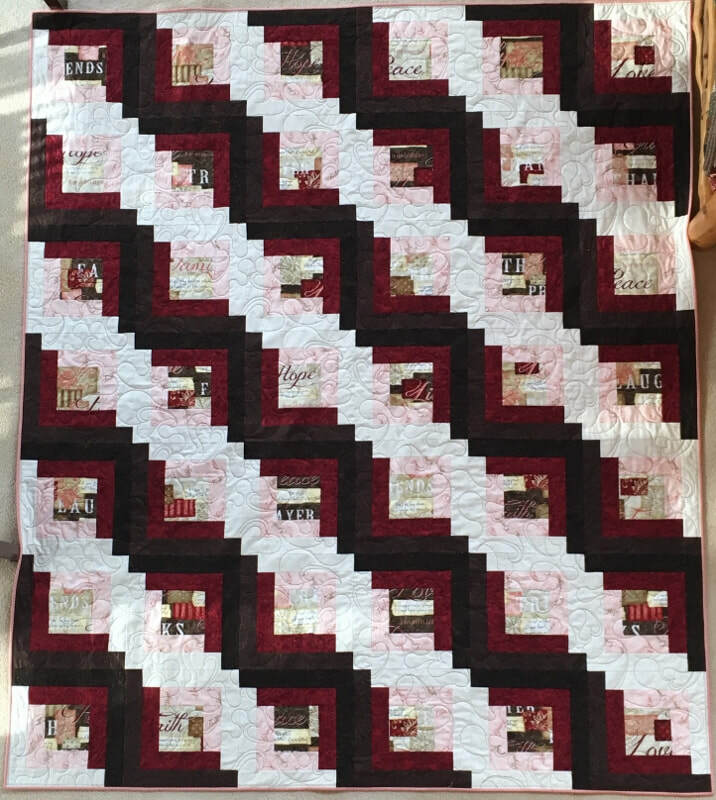 This beautiful quilt is made from the "Words to live by" fabric line by Jennifer Pugh in a log cabin pattern. It has wonderful words to live by, such as Love, Faith, Peach, Laugh, etc., with brown, red and cream coordinating fabrics. It has a brown check backing and peachy pink matching binding. Perfect for the one you love! This quilt is machine quilted with an all-over hearts design.